There are currently 4,878 users on this website. Though I don't collect a lot of them myself, I keep coming across some interesting wanna be stamps. Here's a striking cinderella from the 1939 NY Worlds Fair. That is a wonderful cinderella. I haven't seen it before. 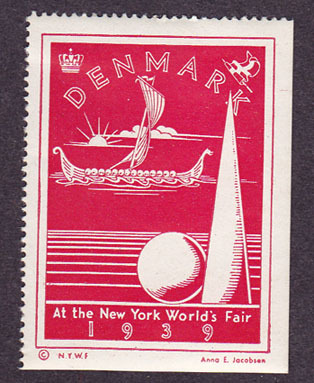 It would look great on a page next to other 1939 NYWF issues whether they be stamps, cinderella's, slogan postmarks, FD/cachet covers, or souvenir sheets. Nice label. I too, had never seen it before. Looks like it came from the danish Pavilion. Can you tell us what is printed at the bottom? can we have a better scan please? When I brought it to my dealer and asked him why I couldn't find it in my catalog he gave me the strangest look! Well, no wonder! It does not meet UPU standards. Where is the country name? Well it says American. What more could be needed?? Just went to Denmark on eBay and found the cinderella, and bought it. 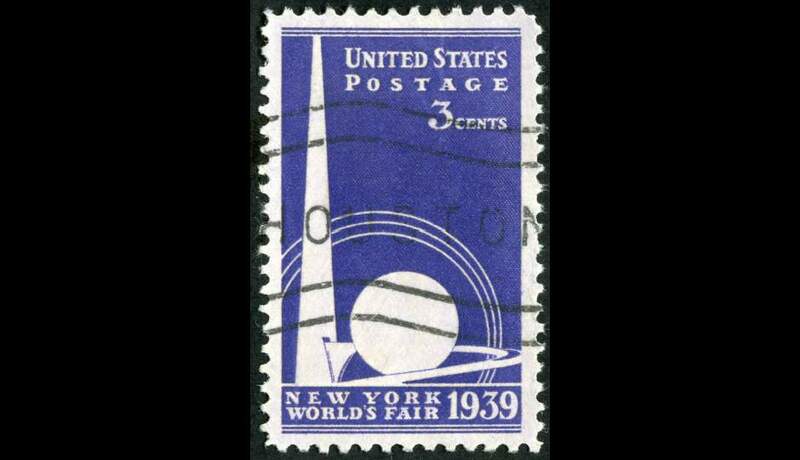 Just could not resist the temptation to mount it next to my 1939 US World's Fair stamp. Wow. I'm impressed that you folks are so impressed. It is a lovely thing. I just sold another one on eBay a couple of weeks ago. 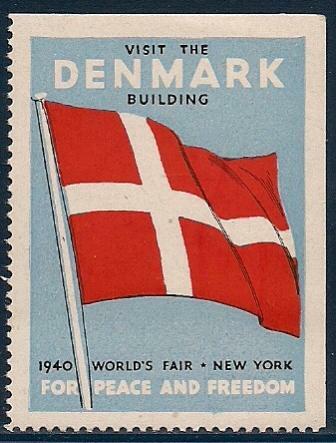 As I said, I don't generally collect these, and I definately don't collect Denmark. So I could happily trade it with someone for the right item (I'm past the 50 post mark, so I think I can say that now) but that's probably a topic for another post. The point of this one was, I've shown you mine, now show me yours. Quite a lady for the "Vikings" on stamps collector. or having fun at the coconut shy. I might change my Avatar to Panda Bear's American Moron! 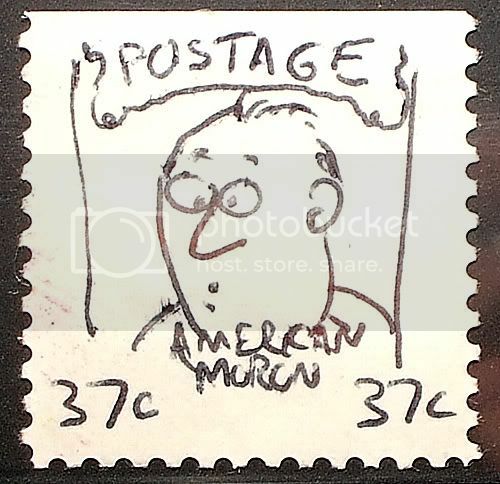 That's not enough -- we live in a world with no shortage of morons in any stamp issuing entity! Can one assume that similar labels were produced to promote the pavilions for any given country that participated in this great event? Might be some on here, they may interest you. Let me know if you would like bigger pics of any. It took 1.16 seconds to lick this stamp.